No major city has enough affordable housing to meet demand, but how does Seattle stack up? A reader asks: So how is Seattle doing in offering affordable housing? One national study found this area has 29 affordable units for every 100 households with extremely low income — well below the national average of 35 per 100. Here's a look at that, and at some good news in affordable housing here. Seattle is hardly alone in facing a shortage of affordable housing. It’s a national problem, and not a single major metropolitan area in the U.S. has enough low-income housing to meet the demand. But given our region’s exceptionally fast-rising rents, and a homelessness crisis that counts among the worst in the nation, one Seattle Times reader wondered how we stack up against other areas in providing housing for low-income folks. Housing subsidies come from a dizzying array of programs from both public and private entities at at the federal, state and local level, making comparisons difficult. To answer the question, I turned to a large national survey, called the American Housing Survey, which is sponsored by the U.S. Department of Housing and Urban Development (HUD) and conducted by the Census Bureau. More than 120,000 households in 25 metropolitan areas, including about 3,000 in Seattle, completed the survey. Among the many questions on the survey, renters are asked if they receive any kind of reduction in rent. The data show approximately 75,800 households in the Seattle metropolitan area have their rent reduced through some type of subsidy. Nearly half of these households receive a subsidy from the government, such as a housing voucher. About a third live in a property that is owned by one of the public housing authorities in our region. The rest have reduced rent through some other program or agency that requires income verification. Keep in mind, it’s not just Seattle and the Eastside where rents are soaring. Census data show that Tacoma and Everett have both now passed the $1,000 mark for median rents. Taken all together, these rent-subsidized units make up 12.6 percent of the total rental-housing stock in the Seattle area. Among the 25 metro areas included in the survey, Seattle ranks in the bottom half, at 19th. There’s a wide range between the metro areas in the survey. Boston is at the top, with more than one quarter of units receiving some form of subsidy. In Phoenix, it’s fewer than one in 10, placing it at the other end of the spectrum. Six of the metros in the survey include areas with some form of rent control — New York, Los Angeles, San Francisco, Philadelphia, Riverside-San Bernardino, and Washington, D.C. — but such units are not included in the numbers for subsidized apartments. This analysis only looks at the percentage of rental stock that is subsidized, without taking into account that the need for affordable housing is greater in some areas than others. But a 2017 study of the affordable stock in the 50 largest U.S. metro areas did factor in the varying levels of need. The study, which was conducted by the National Low Income Housing Coalition, a Washington, D.C.-based housing-advocacy group, found that there are 29 affordable units available for every 100 extremely low income households here. That’s well below the national average of 35 per 100. While the study showed that every metro area deals with a severe shortage of affordable housing, Boston had the highest availability, at 46 units per 100 households. Las Vegas was at the bottom, with just 12 units per 100 households. 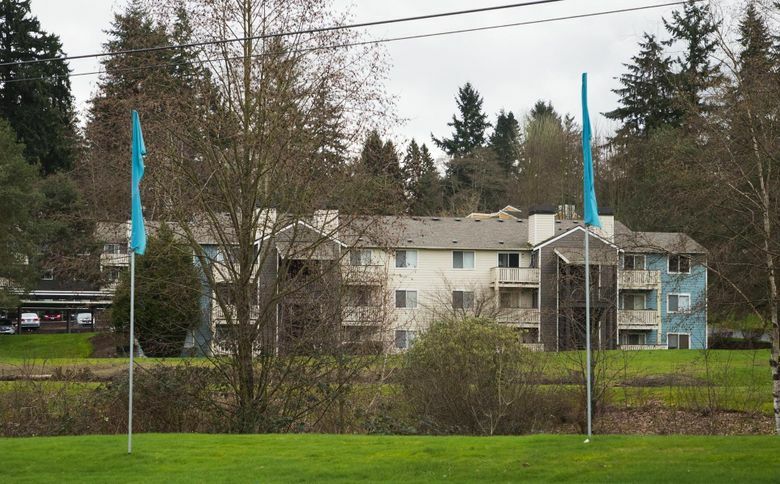 This wide variance among metro areas may seem surprising — but when it comes to public housing, it’s nothing new, says Stephen Norman, the executive director of the King County Housing Authority (KCHA). In general, older cities like New York and Boston have a higher share of public housing than younger cities in the West, including Seattle. There are a number of reasons for this, including the greater amount of aging rental housing stock in the older cities. Another reason Seattle may rank lower than many other areas for the availability of affordable housing is that the allocation of federal resources here hasn’t grown in step with with our area’s booming population. And for KCHA and other agencies in the Seattle area, there’s the added difficulty of operating in a region with very high-priced real estate. The agency owns more than 100 properties, and competes on the open market for new acquisitions. One primary goal is to preserve existing affordable housing, particularly in areas that are losing economic diversity as property values rise. In December, KCHA made its largest purchase to date, the 485-unit Ballinger Commons in Shoreline, an older, market-rate complex. Norman calls this “workforce housing,” meaning it’s for lower-income households that still earn more than 30 percent of the area median income, making them not eligible for federal funds. The agency owns about 6,000 such units. Among other recent acquisitions, the agency purchased two privately held housing complexes for low-income seniors when these properties came onto the market. Both are in high-priced neighborhoods — one in downtown Bellevue, the other in the heart of Redmond. Norman says the Section 8 voucher program is struggling to find landlords who will take vouchers, and this is particularly acute in very high-end areas such as the Eastside. For every 10 King County households with vouchers, three are unable to find housing. Today, all the nation’s public-housing authorities struggle with reduced federal funding — and things could get worse. Housing advocates say the tax law signed by President Trump last month reduces the incentive for corporations to buy low-income housing tax credits, the funding mechanism for most affordable-housing development.